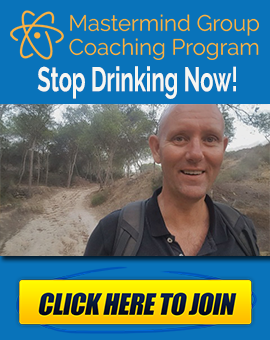 I’m Kevin O’Hara for Alcohol Mastery and this is Stop Drinking Alcohol Week 45. I’m 45 weeks into it, and to be perfectly honest, it might as well be 145 or 545. I just feel great without alcohol. It’s a part of my alcohol past. It’s a part of my past. It’s never gonna be taken into account ever again in my future. The only thing is doing the videos or trying to learn more to try and help other people, but apart from that it’s HISTORY! My sister just had another child a few months ago and she’s still breast-feeding the child. It sort of came across to me that it was a good analogy of having something in your life and then all of a sudden it’s gone. My mother breastfed nine kids – big Irish family. I presume I was breastfed until whatever age – a year and a half, two, can’t remember. But I’m also sure that once it got a certain level – I think in my case my younger brother Mark being born – it was no longer my right to have the breast, it was my brother’s turn. I’m sure that I had withdrawal symptoms, like crying and screaming and said I wanted the bottle. But I got over it, and I didn’t die. I became a boy and then I became a man, and that was it. I moved on. It’s exactly the same thing with drinkers – it’s just all a state of mind. It’s all this addicted personality stuff that you can’t get over, there’s the psychological and the physical symptoms. It’s basically the same thing. There’s only really one place to go, and that’s forwards. It’s onwards and upwards – that’s the only place you can really go. That’s why I love going out on these walks. I think it’s just every step I take is a step into my future, it’s a step away from the alcohol, and not only in a metaphorical way. Every step I take forward is getting rid of the Guinness belly. Like I said, that’s the last vestige of my past and I’m determined to exercise it off my body. I’m doing a video during the week on everything is connected to everyone else. And now I’m just gonna use this video as an opportunity to talk about my experience on how it’s affected me. Alcohol really did affect me in every aspect of my life. I can’t think of any aspect in my waking or sleeping moments when it didn’t affect me. My health was suffering really badly. I had the outward symptoms; I could feel damage to my liver, I could feel the pain so I presumed that the pain was a reflection of the damage that was happening on the inside. As I said, I’ve put on so much weight, I put on 40, 50, 60 pounds…60 pounds at least in excess body fat because I was drinking. A lot of that body fat is your body’s way of trapping in the toxins. If it can’t get rid of it, it’s got to keep them away from doing damage to the rest of your body so the way it does that is it traps it into fat cells. Once the toxin is trapped in there, it can’t affect the rest of your body. But it’s not just your physical world that suffers, it’s not just your body. It’s everything around you. My work suffered, there’d be days when I just wouldn’t go to work because I’d be so pissed the night before that I either couldn’t drive or I’d be so hung over the day after or possibly the day after that. I was just making bad choices all over the place which affected my work and my relationships. My relationships with my family, with my son, with my mates. The bad choices that I made are all a direct result of impaired thinking, and the impaired thinking is because a) you can’t stop thinking about drinking so that taints everything else, and b) just having that toxin in your system, floating around in your system 24/7 – how are you supposed to think through that blanket that covers everything, covers all your decisions? In that way, alcohol also affects your future. It spoils your future, really. I’ve talked in a previous video about just trying to change my life and move to Spain and change my job. And even talking about that kind of stuff, I just made so many bad choices all because I wasn’t thinking straight, because I wasn’t giving it my full attention. So the move to Spain would have happened a lot sooner if I hadn’t been drinking. But it’s any plan that you make, you can’t make long-term plans because you can’t put your short-term plans into action without them being destructed by your drinking. So if you can’t even do the short-term stuff, how are you supposed to implement any long-term plans in your life? If you want to get anywhere in life you need a plan. You can’t get anywhere without thinking rationally about it, without being able to sit down and work out the steps that you’re going to take to make your plan come into fruition and without having the confidence that you can wake up every day and do a bit more work towards putting those steps into action. And now, I do that. Every single day, I wake up and I know what I’m going to do and I do it. There’s days when I feel tired or listless or there’s days when you just feel ill and you just don’t want to do it and there’s days when stuff comes up and you just can’t help it, BUT they’re few and far in between. They don’t happen because of I’ve been poisoning myself anymore. It’s just normal day to day stuff. The present is when you can do something now – that’s the only time you can do anything. The “coulda, shoulda, woulda” mentality of looking back into your past and blaming yourself or saying, “This might have worked out if, if…” Makes no difference, you can’t change that. What you can do is what you’re doing now, right at this moment. So I hope you got something out of that. That was Stop Drinking Alcohol Week 45. 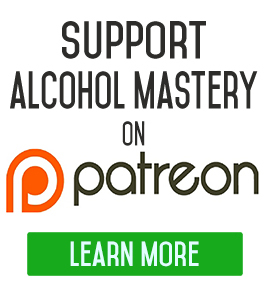 If you have any comments at all go over to the website, AlcoholMastery.com. Hi there Kevin, Just a msg to tell you what a great idea it is that you are using the opportunity to be filmed while you are walking-its fantastic & using your time wisely & prevents boredom. 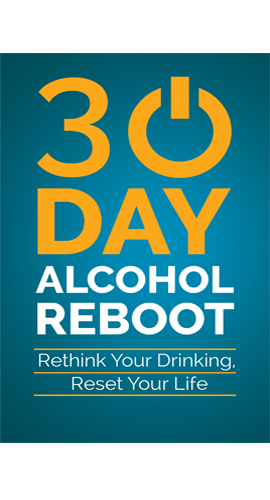 I stopped drinking for 80 days & then had to travel away from home with my husband(still a drinker) to a new town to pick up a new vehicle—when I had this terrific urge to drink-I feel it was the anxiety that comes with anything different & unknown. Once that thought had come into my head, it would not go away & I could not distract myself in that town,as I would have done so at home as I didn’t have the items with me that I could distract myself with,such as-sewing,I am a Bird-Trainer & ebay Seller, I had no Birds with me either,my computer would not work in this area,so I could not get the thought out of my head. Gradually my treacherous heart led us to the Pub,for a meal & of course once I stood in the Bar,I could not resist so bought a small bottle of Red wine. I only sniffed it for a half hour in the restaurant part as I was so scared,but eventually I drank it & kept on drinking. That urge that you get where you start looking for more came upon me & it was like I had never stopped. The next morning I was vomiting,headache & very tired & very dissapointed in myself too. 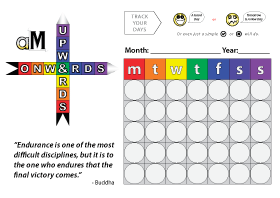 I thought about what I had done & what I had got out of that “Drunking Episode” & thought – I had paid a lot of money, I felt awful,I had sabotaged my goal & now I was back to day 1 again & I had not even had a better time. It just was not worth it & now I learned from that situation to always have plenty of distractions with you if you are away from home for any reason,especially somewhere new & around unknown people,preferrably something to do with your hands. Hi Jo, i’ve been in the same situation many times. Boredom used to drive me mad… and to the pub. If the worst comes to the worst, just walk around until the feelings disappear. Even if you’ve got to walk up and down the street, do it. I know it can be difficult when you’re only choice to eat is the pub. I was away for a couple of days during the week and we had to eat in the local bar/restaurant which was full of English guys who were working down the road. In my past, I would have eaten, then joined them for a few beers or twenty. Even after 11 months, the feeling to drink was there. But it’s only the mind playing tricks, old habit memories resurfacing. 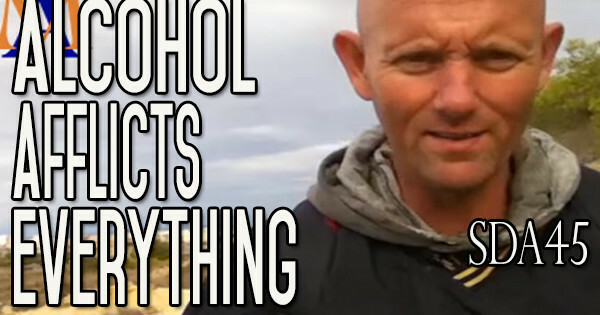 It’s got nothing to do with the alcohol. It always boils down to the choices you make. Stay strong Jo and keep moving forwards. I feel very empowered to take control of my life now and in particular as I have read and watched many videos and stories. I have been off drinking since Nov 12 and have not got drunk since Nov 2. I do have a goal to race my bike again and your story on goals being specfic have helped. April 1st will be the first twilights race in our area and I will be ready to race again by then. I appreciate your straightforward approach to quitting as every person or program tells me to join AA. I don’t have a problem with AA although I prefer to just quit and say enough is enough on my own. Thx for your stories-great inspiration for others. Tomorrow is thanksgiving and I was going to stay home to avoid the drink, I feel strong in that I don’t have to drink and if I miss out then I will have lost some great memories to REMEBER for me and family.